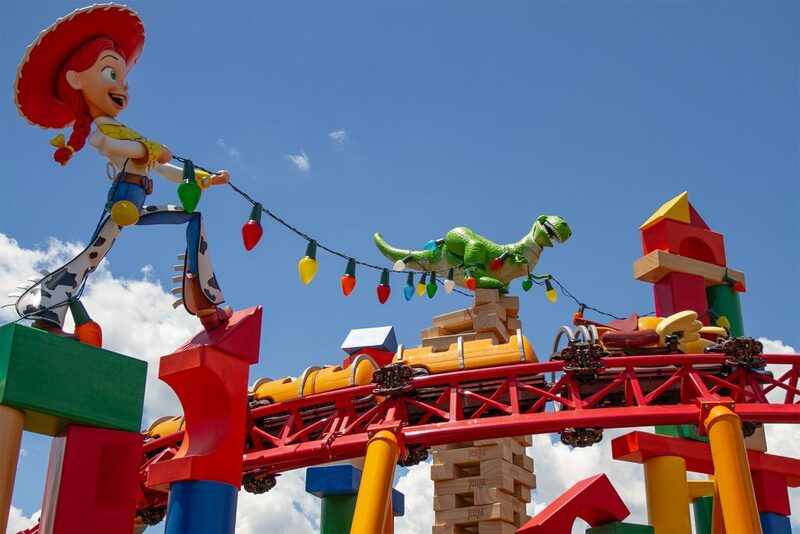 When you enter Toy Story Land, you get shrunk down to the size of a toy and end up in Andy’s backyard. 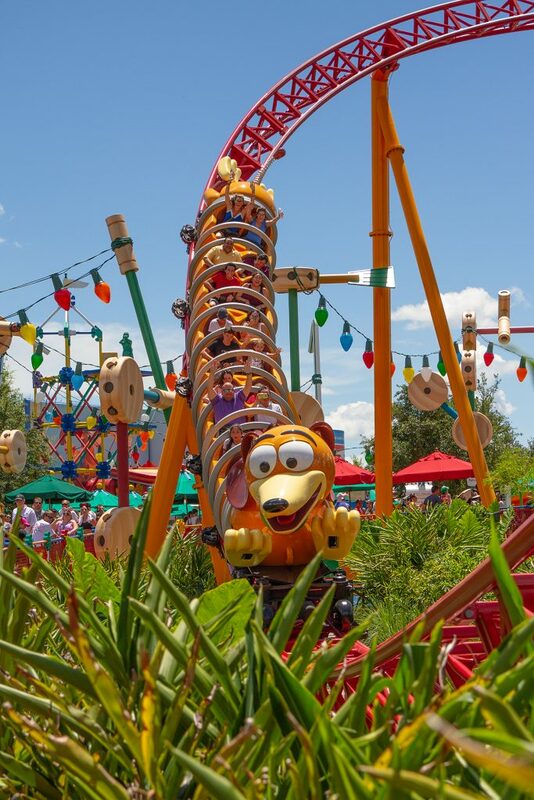 He’s got all his favorite toys out, and he’s even built a roller coaster, Slinky Dog Dash, using his Dash & Dodge Mega Coaster Kit! The theming in the land is great – everything is made of toys, and there are tons of small details that are definitely worthy of their own separate post – but this post is going to focus mainly on Slinky Dog Dash, so lets get to it! 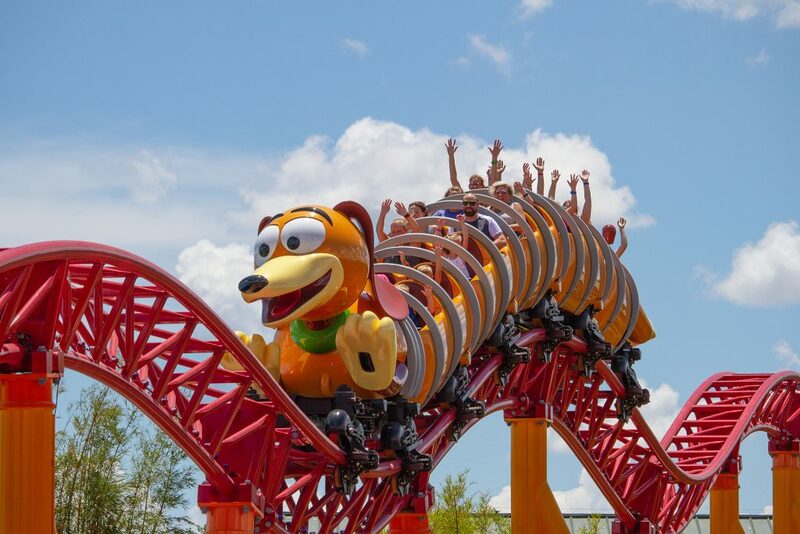 Slinky Dog Dash is a family coaster with a 38in height requirement, making it suitable for most young children. The ride wastes no time getting started, gracefully launching riders up into a banked turn. 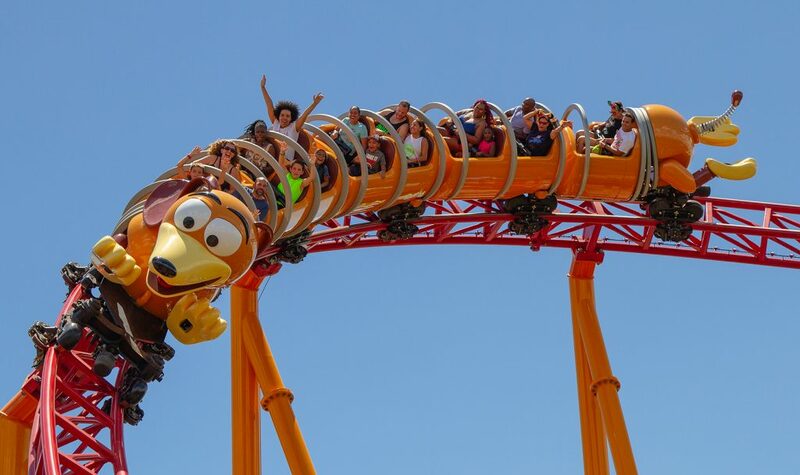 One fun little detail is hearing the metal stretching sounds of a slinky as your vehicle ‘expands’ during the launch. 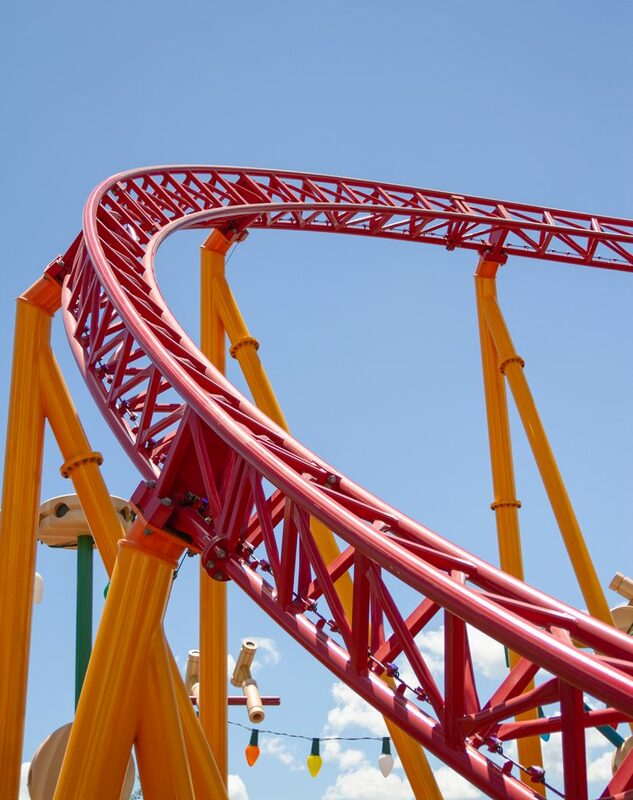 After some twists, turns and small bunny hills, the ride comes to a brief stop before the second launch. 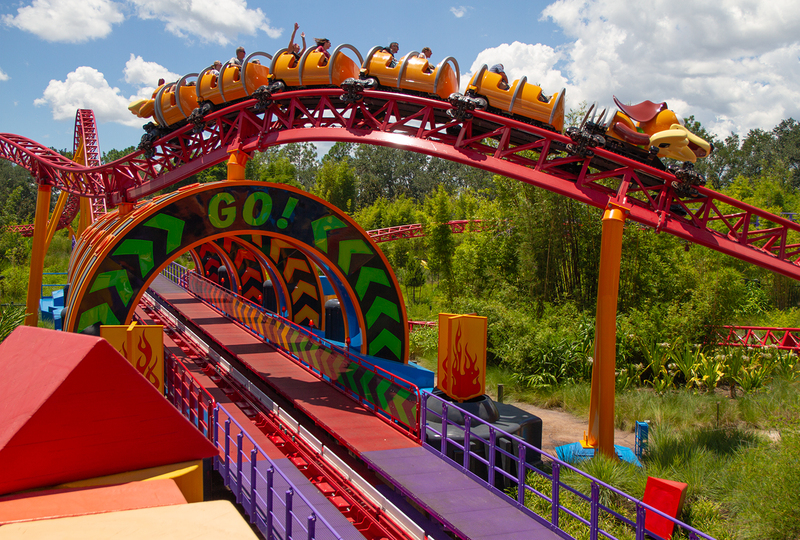 The train then simulates a “pull back and go” effect like the toy cars you probably had as a kid and launches you up a hill and into the second half of the ride. 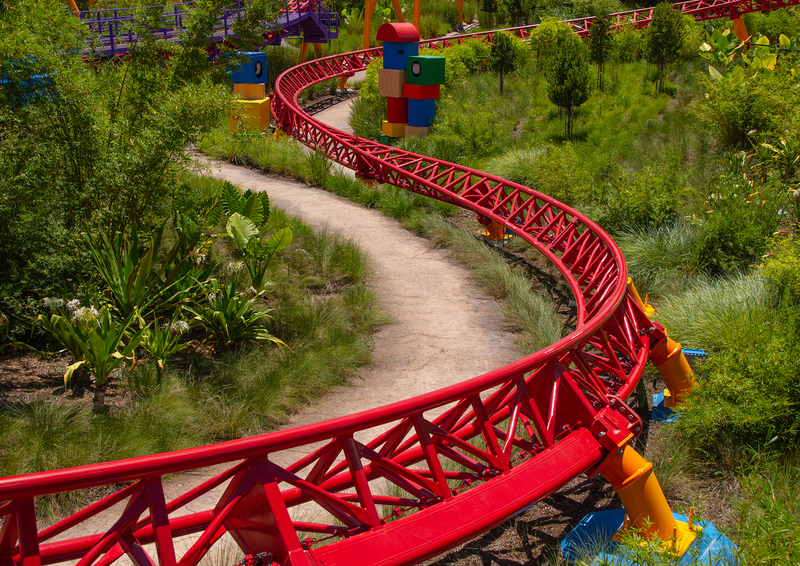 After that hill (which provides some stunning views into the construction of Star Wars: Galaxy’s Edge) the train enters a fun set of camel back hills. 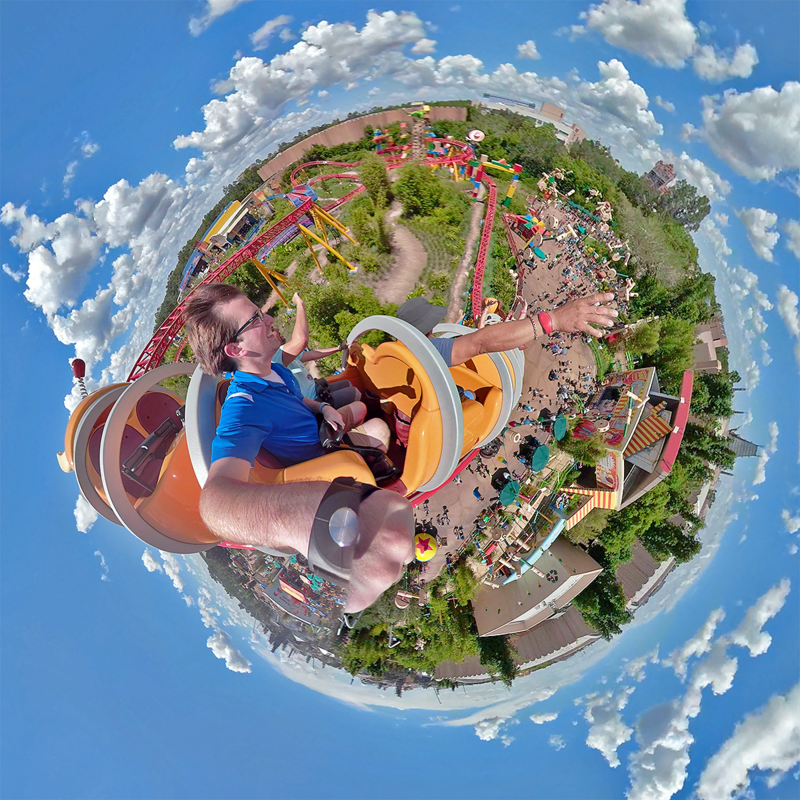 It then swoops down and into a final set of curves, but not before taking an on-ride photo! 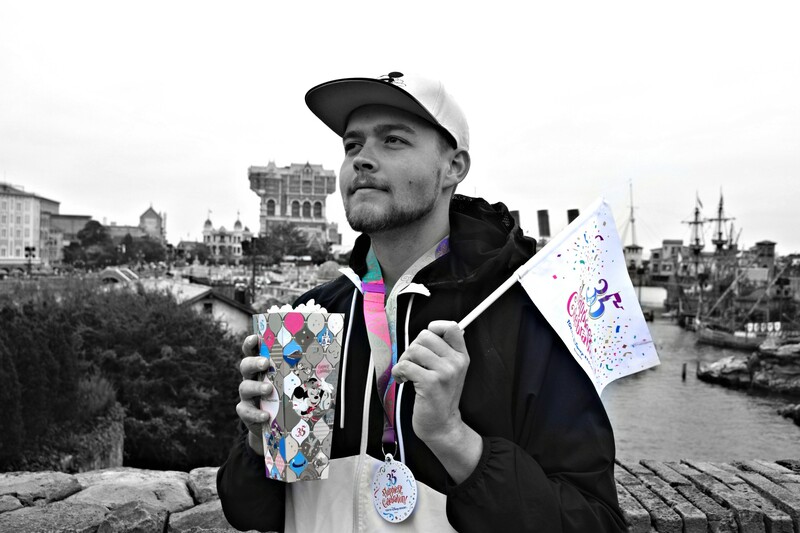 The ride never goes too fast, and doesn’t really exert any forces on its riders – but that’s okay! 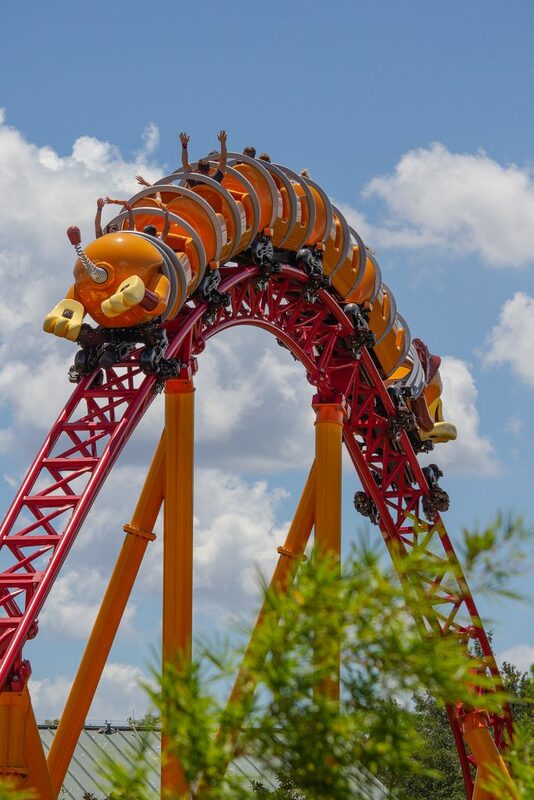 In my opinion this is the perfect gateway coaster for kids wanting to try a bigger roller coaster but who may not be ready for something like Expedition Everest or Rock n’ Roller Coaster. From my experience watching trains go by and listing to reactions of riders, this ride is definitely a huge hit! I’ll leave you now with just a few more shots of the beautiful red Mack track. 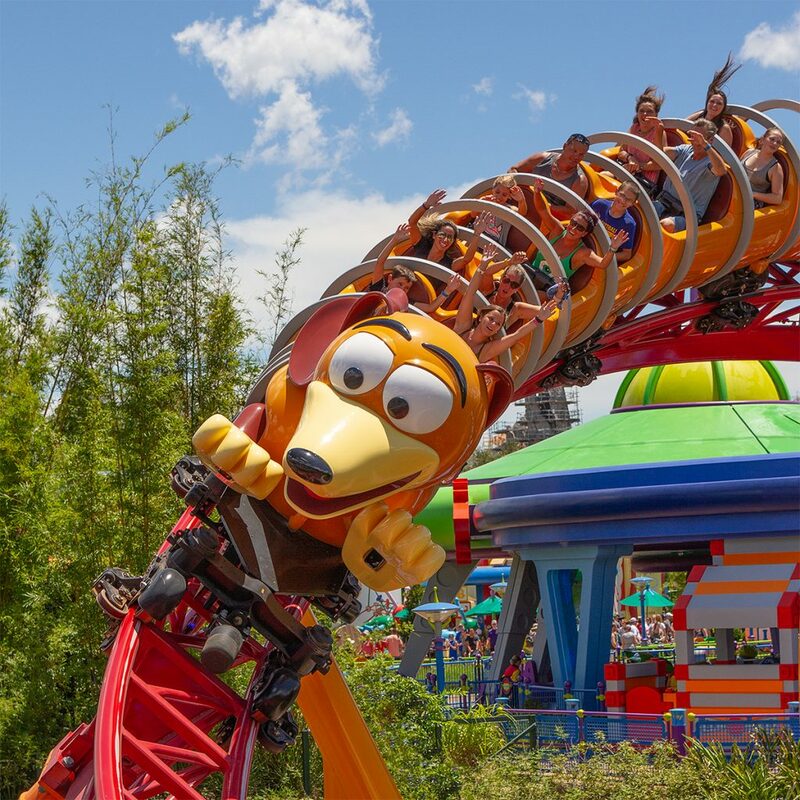 Thanks for reading, we hope you enjoyed this quick Slinky Dog Dash review and photo report! 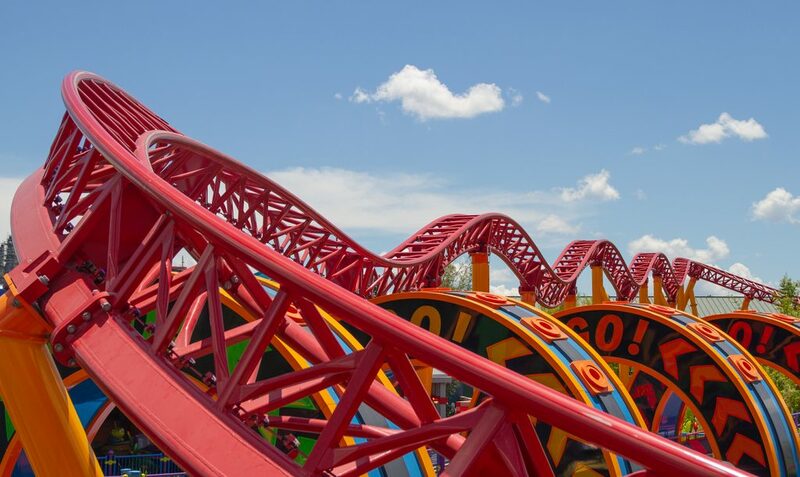 Next PostNext West Coast Racers – Quadruple Launch Racing Coaster – Coming to Six Flags Magic Mountain in 2019!